Eric Bleke, President/COO of StarPound Technologies is an entrepreneurial executive with a track record of building high performing teams in early-stage companies to achieve revenue growth, market leadership and shareholder value. 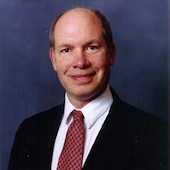 Mr. Bleke joined Enterprise Computer Systems (ECS), an early stage software company in 1980 and quickly became a member of the executive team and a significant shareholder. ECS grew to a position of dominance in its markets and was ultimately acquired by Activant. Bleke left ECS in 1992 to co-found Technologic, Inc. where he was a member of the Board of Directors and Vice President of Sales and Marketing. Technologic’s customers included BellSouth, The Coca-Cola Company, Turner Broadcasting, and Delta Air Lines. Technologic, acquired by eSoft (NASDAQ: ESFT) providing significant shareholder returns. Bleke joined Xcellenet (NASDAQ: XNET) in 1997 to spearhead sales to major accounts such as MCI, Ford Motor Co., Pepsi/Frito-Lay, Blockbuster and GE. In 1998, XcelleNet was acquired by Sterling Commerce (NYSE: SE). Bleke then co-founded Catalysta Partners, LLC, to provide growth and revenue strategies for early stage portfolio companies often resulting in significant benefit to shareholders. Mr. Bleke holds B.S. and M.B.A. degrees from the University of Georgia. Dr. Shahla Butler is an expert in technology architecture and strategy and provides consulting services in these areas to corporations, especially financial services organizations. She is currently the Principal at Butler Strategic Consulting. Her past positions include Vice President of Technology Strategy and Architecture at Freddie Mac, Vice President and Director of the American Management Systems (AMS) Center for Advanced Technologies and Knowledge Management, Vice President and Program Manager for Intelus a Workflow and Imaging Start-up Company, Director of Office Automation and Distributed Client/Server Systems at the National Association of Securities Dealers (NASD). 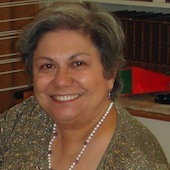 She has been a winner of the Computer World’s “Premier 100 IT Leaders” in 2000 and 2004. This annual awards program honors people driving strategy and innovation in the country’s leading IT departments. She was honored as one of the “Top 100 Women in Technology” by the McGraw Hill/Business Week in 1996. She has been a pioneer in the innovative use of technology in practical applied business situations. She has been a frequent speaker at major technology conferences and had a monthly byline in Data Management magazine on Data Warehousing and Business Intelligence until 2001. John O’Callaghan, President & CEO, Atlanta Neighborhood Development Partnership, Inc.
John O’Callaghan assumed the position of President & CEO of the Atlanta Neighborhood Development Partnership, Inc. on July 31, 2006. Mr. O’Callaghan brings a varied background in non-profit fundraising, governmental service, housing policy and corporate external affairs to his new role at ANDP. Most recently, Mr. O’Callaghan spent 11 years as the Regional Public Affairs Director at Fannie Mae. Mr. O’Callaghan helped create and lead Fannie Mae’s housing and community development outreach network for an 11-state region. In this role, he worked with lenders, real estate professionals, homebuilders, elected officials and community leaders to identify and solve community housing needs. Prior to joining Fannie Mae, Mr. O’Callaghan was the City of Atlanta’s first Director of Intergovernmental Affairs where he directed the City’s State and Federal lobbying efforts. He also served as a special assistant to Atlanta Mayor Maynard Jackson. Mr. O’Callaghan spent his early career in fundraising positions with the American Red Cross and United Way of Metropolitan Atlanta. In 1993, Mr. O’Callaghan was elected county wide to serve on the Fulton County Commission. He later filled a two year unexpired term on the Atlanta City Council. Mr. O’Callaghan currently serves as one of Mayor Franklin’s appointees to the Atlanta Renewal Community Coordinating Responsible Authority (ACoRA) Board. Past community service includes work as Co-PTA President for E. Rivers School and as a Governor’s appointee to the Georgia Future Communities Commission. Mr. O’Callaghan is a native of Atlanta a graduate of Georgia Tech. John, his wife Jennifer and their four children live in Atlanta’s Loring Heights neighborhood. Forrest joined the Dun & Bradstreet Corporation in 1977. Some of the positions he held include Manager of Government Services, Vice-President of Product Planning and Research, and Vice-President of Strategic Planning. He was active in senior management for RMS, a unit of D&B, both domestically and internationally, since 1992. RMS, a global leader in Business Process Outsourcing, was spun off to management from D&B in 2001. As Executive Vice President, Forrest was responsible for marketing, technology, the insurance segment, Canada, overseeing strategic initiatives and served on the Board of Directors. He currently is President of Forrest R. Old Associates LLC, an industry consulting firm. He earned a B.A. Degree from Ohio Wesleyan University and his M.B.A. degree from the City University of New York. Mike has over 30 years of experience building and managing fast-growing companies. He is a co-founder of EquipMD, who pioneered the sale of used medical equipment on the Web (acquired by Neoforma in 2000) and of Catalysta Partners, LLC, an Atlanta-based consulting firm who helps early stage companies develop profitable, scalable revenue models and orchestrate liquidity events. From 1999-2012, Mike led Catalysta engagements to launch a number of early stage companies including InvoiceLink (acquired by BCE Emergis in 2000), MediaBin (acquired by Interwoven in 2004), Constructware (acquired by Autodesk in 2005), Revenue Technologies (acquired by Oracle in 2007), Advectis (acquired by Xerox in 2007) and Compliance360 (acquired by SAI Global in 2012). Through liquidity events, these start-up Catalysta clients have created over $400 million in shareholder value. From 1990 to 1997, Mike was VP of Sales of XcelleNet Inc., a systems management software company. In 1995, XcelleNet was ranked #24 in the INC 500 list of “America’s Fastest Growing Private Companies” and went public on the Nasdaq. From 1985 to 1988, Mike was Director of Sales of Sales Technologies, Inc., one of the earliest providers of CRM solutions (acquired by Dun and Bradstreet in 1989). Prior to 1986, Mike held sales/sales management positions with IBM, Credit Suisse First Boston, and Saddlebrook. A frequent guest speaker at Emory’s Goizueta Business School and the Institute for Continuing Legal Education (ICLE), Mike holds a BA from Davidson College and an MBA from the University of North Carolina, Chapel Hill. Mike currently serves on the boards of Silas Technologies Holdings, Preparis, and Kahua, and on the advisory boards of FotoIn, HireIQ and Clinipace. 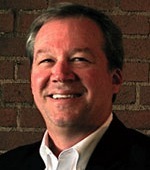 Greg Smith serves as President of Blue Vista Ventures, LLC, and is an advisor and consultant to early-stage technology companies. Smith has personally invested in 11 start-up companies and funds. Smith formerly served as vice president and general manager of Xerox Mortgage Services. Prior to Xerox, Smith co-founded and served as CEO and Chairman of Advectis, Inc., the exclusive provider of BlitzDocs Collaboration Suite, one of the mortgage industry’s most widely-used solutions for electronic document collaboration. Advectis was acquired by Xerox in October of 2007. The BlitzDocs solution enables a network of mortgage participants to manage the process needed to underwrite, audit, collaborate, deliver and archive loan documents electronically via an on-demand web-based application. As of 2012, between 12% and 15% of the U.S. mortgage volume was processed through the BlitzDocs network. Before co-founding Advectis, Smith was instrumental in launching products in a number of vertical markets, including the insurance and commercial real estate industries with InterTech Information Management. He has obtained international experience having lived and worked in several European countries and is conversant in German. Smith holds a master’s degree in international business from the University of South Carolina and a bachelor of science degree in mechanical engineering from Clemson University. Smith is a frequent speaker at various entrepreneurial forums including the ATDC, Technology Association of Georgia events, as well as MIT Forum entrepreneurial events in Atlanta. He currently serves on the advisory boards of GeoFeedia, Inc., NurseNav, Pretty In My Pocket, Inc., Workforce Resource, Inc., The Clemson University (Golf Paws) Program, and the immediate Past Chairman of the Advisory Board of the Arthur Spiro Institute for Entreprenurial Leadership at Clemson University. Smith is a board member of Social Growth Technologies, Inc., serves as Chariman of the Board of Verdeeco Inc., and Smith is also a board member and active investor with the Atlanta Technology Angels group. Joe Rossi is a founding member of TurtleBay Advisory Services and has more than 30 years of experience in the financial services industry, using his background in operations and information technology to build bridges among diverse groups of people and organizations. Prior to forming TBAS, Joe served as Freddie Mac’s senior vice president of Operations and Technology where he was responsible for managing the largest segment of Freddie Mac’s business operations, including all of the company’s mortgage origination and servicing, investment and capital markets operations, and information systems divisions. Joe joined Freddie Mac on March 28, 2005 as senior vice president of Investments and Capital Markets Operations and led Freddie Mac’s securities issuance, bond administration, and securities processing operations. In March 2007 he was named senior vice president, Technology Services. In this role, he managed all aspects of technology infrastructure, including computer and network operations, customer and operations technology services, data management infrastructure, information security, and technology change management. Joe was a member of the company’s leadership team and reported directly to the Chief Operating Officer and eventually the CEO. Previously, he led the Advantage Project Management Office (PMO) and was responsible for the coordination of business and technology architecture and process re-engineering at Advantage. Before joining Freddie Mac, Joe held leadership positions at Mellon Bank, JPMorgan Chase, and Citibank where he developed a significant portfolio of experience in all aspects of global securities clearance, custody, fund administration, and accounting. Joe received a BS degree from Bryant College in Smithfield, RI and an MBA from Iona College in New Rochelle, NY.